“THANK YOU” to the Oracle Band–great performance, great time! View photos . . 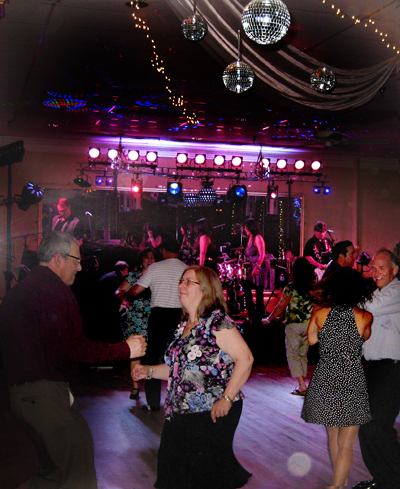 The photos below are from the dance with the Oracle Band at Hollywood Ballroom Dance Center 5-31-2014. The band’s high energy level never stopped; the dancers were fun and friendly. “Thank You” to all. We hope to see you again! move on the dance floor! Oracle is a high-energy six-piece band. They play a large variety of music–songs from years past to the present time. Each performance is infused with a large dose of fun that becomes contagious!!!! 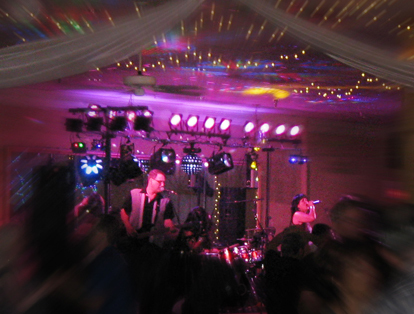 When the managers of Hollywood Ballroom Dance Center heard about the Oracle Band and went to see them at Blob’s Park, they knew this band would be a great addition to the list of live music performers at their Ballroom. They asked the Oracle Band to perform at Hollywood Ballroom and very quickly, a date was set up. Now, everyone is looking forward to the band’s first appearance at the Ballroom on May 31, 2014. 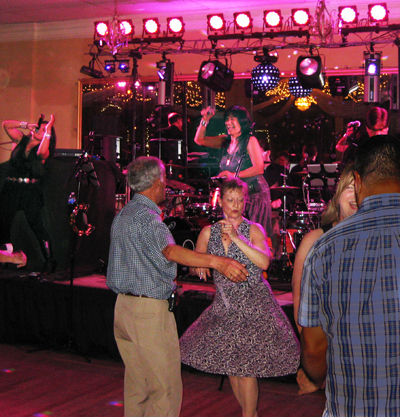 The dance floor at Hollywood Ballroom is 7200 square feet, and that’s plenty of room for lots of other dancers and as well as former patrons of Blob’s Park and followers of the Oracle Band. The Band’s blog with lots of pictures of their performance on Feb 14th at Blob’s Park.